When it comes to entertaining at home, I’d like to think I know a few things (or two!) about setting the scene for an unforgettable night. 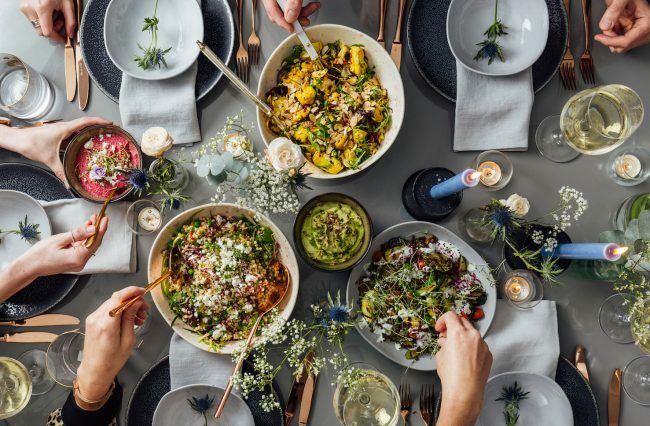 For me, hosting is all about enjoying food and friends together; you don’t need the biggest flat, the most expensive ingredients or the best wine to have a brilliant evening. And if it doesn’t go totally to plan? Don’t panic, your guests will love being treated regardless – who doesn’t love getting round the table with friends and a glass of vino? So if you’re a dinner party newbie looking to up your game, read on. I’ve shared my top tips and advice with Sheerluxe to have you hosting like a pro… Visit their website here for the full feature.